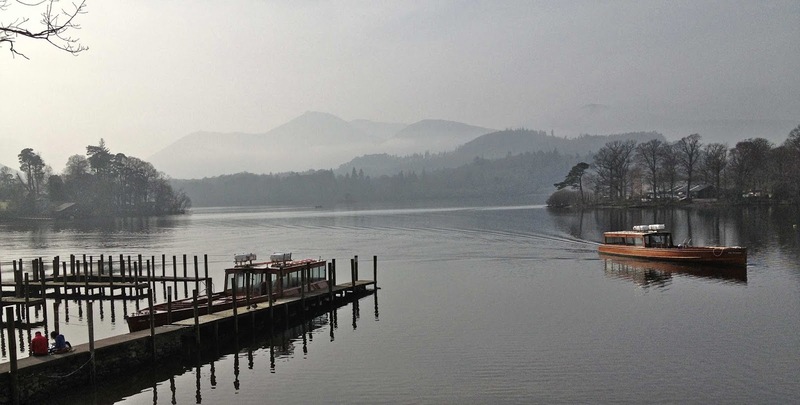 Words by the Water (a festival of Words and Ideas, staged by Ways with Words) (#WBTW14) finished today at Theatre by the Lake in Keswick, Cumbria. This year I volunteered to chair three talks with connections to Greece and/or Greek, and was granted all three. 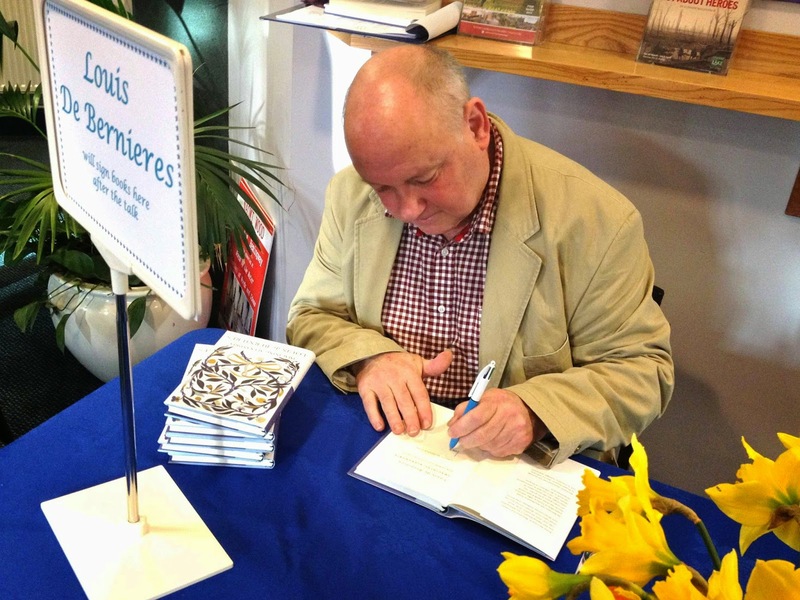 This post is about Louis de Bernieres, who spoke to a large audience on March 7th, Day 1 of the festival. Louis read some of the poems in Imagining Alexandria, his first book of poetry, published last year. He says the style of the poems in this book follows that of Constantine Cavafy, who lived in Alexandria and wrote poems in Greek from about 1900 to 1933. I sometimes read Cavafy's poems to keep my modern Greek alive, and my children studied a few of them at school. Some of them are about love between men (both ancient and modern) and some take moments in Ancient Greece and look at them through the eyes of an unexpected participant - a battle viewed by a poet*, or a pedlar confused by a phoney victory parade**. Some of Louis' poems are similar. One particularly poignant one is imagined as by the jailor of Socrates***. "We are rigid and formal in some ways, but we believe in the right to eccentricity, as long as the eccentricities are large enough... Woe betide you if you hold your knife incorrectly, but good luck to you if you wear a loincloth and live up a tree." He told us that this was an extension of the opinion of a Frenchman who said, "Britain really is an immense lunatic asylum". Louis read other unpublished poems. One of them was about his lively young daughter who woke up saying "I dreamed I was flying." Another was about rooks wheeling and riding the wind over the valley near where he lives. Louis told us he rescues baby rooks that fall out of nests and keeps them as pets (see the introduction page to his website). He is convinced they are more intelligent than dogs. In my opinion, Louis is not quite in the loincloth-up-a-tree class, but he's much more entertainingly eccentric.